La Liga TV joins the Asian market in AsiaSat 5. The network of the Spanish soccer league of Mediapro, LaLiga TV, was launched through the Asia Pacific region on the regional satellite platform AsiaSat. 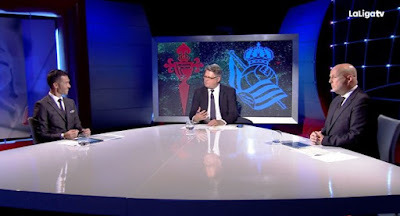 The channel will feature scheduled programming, commentary in English and the first live show in English of La Liga TV, analyzing the matches before the first match of each week. "We are very excited to win this new collaboration, bringing the best of Spanish football to the Asia Pacific. Our growing bouquet of live sports content shows the unique qualities of AsiaSat 5 to serve Asian viewers with a variety of premium channels and an exceptional TV viewing experience, "said Barrie Woolston, AsiaSat's commercial director. LaLiga live matches are offered on pay-TV networks in Asia, through beIN Sports in Thailand, Cambodia, Malaysia, Brunei, Philippines, Singapore; K + in Vietnam; SPOTV and KBS N Sports in South Korea; PPTV in China, Taiwan and Macao; WOWOW in Japan; Geo Super in Pakistan; and Sony Six and Sony Kix in India, Pakistan and Bangladesh. In March 2017, La Liga also opened an office in Singapore, with the stated objective of increasing its presence and popularity in the region, particularly in Singapore, Malaysia, Indonesia, Thailand, Vietnam and the Philippines.